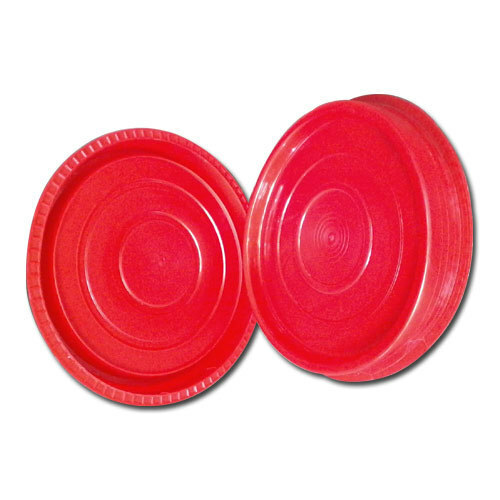 Our domain expertise has enabled us to come with an excellent collection of Cap (10 Inch Open Top). This plastic seal is hugely demanded in different industries to seal barrels. It offers air tight sealing to the containers and avoid the liquid from leaking. Accurate in design, these caps are manufactured in tandem with the guidelines mentioned by regulatory bodies. Leveraging on our industry experience of around 30 years, we are engaged in manufacturing, supplying and exporting Plastic Disposable Food Containers and Plastic Molded Products and Accessories. Our product portfolio includes disposable food containers in ranges 100 ml, 250 ml, 300 ml, 400 ml, 500 ml, 600 ml, 800 ml, 1000 ml, 1200 ml, 1500 ml and molded products & accessories which includes Plugs (2 INCH Plugs), Cap (2 INCH PP Cap), Cap (6 Inch PP cap and Plugs), Thread Cap (8 Inch),Cap (10 Inch Open Top) and Ring Locking System (10 inch ring with locking system). In addition to these, we offer Cap (14 Inch Open Top), Handles, Lugs and Pins. Our products are manufactured using FDI and SSI approved raw material, sourced from trusted market vendors. Use of advanced technology in their manufacturing further helps us assuring the high quality and durability of these products. A huge infrastructure helped us a lot in serving our customers with a variety of thick wall injection molded carboys accessories. Our sister firm “Jay Khodiyar Industries” (Established in 1991) is manufacturing thin wall injection molded microwavable food containers & boxes. A team of quality controllers keeps a close tab over the entire production process and conducts stringent tests right from their first stage of raw material procurement till their final dispatch. Owing to our ethical business practices, prompt deliveries and cost-effectiveness have helped us in garnering a huge clientèle across the nation. Our long list of clients includes some esteemed names like Silver Enterprise and Kamal Containers.